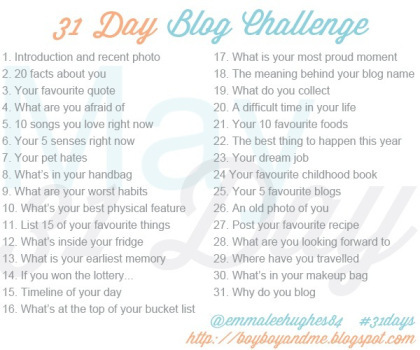 That’s right, it’s our daily dose of blogspiration, and it’s day 19 today. 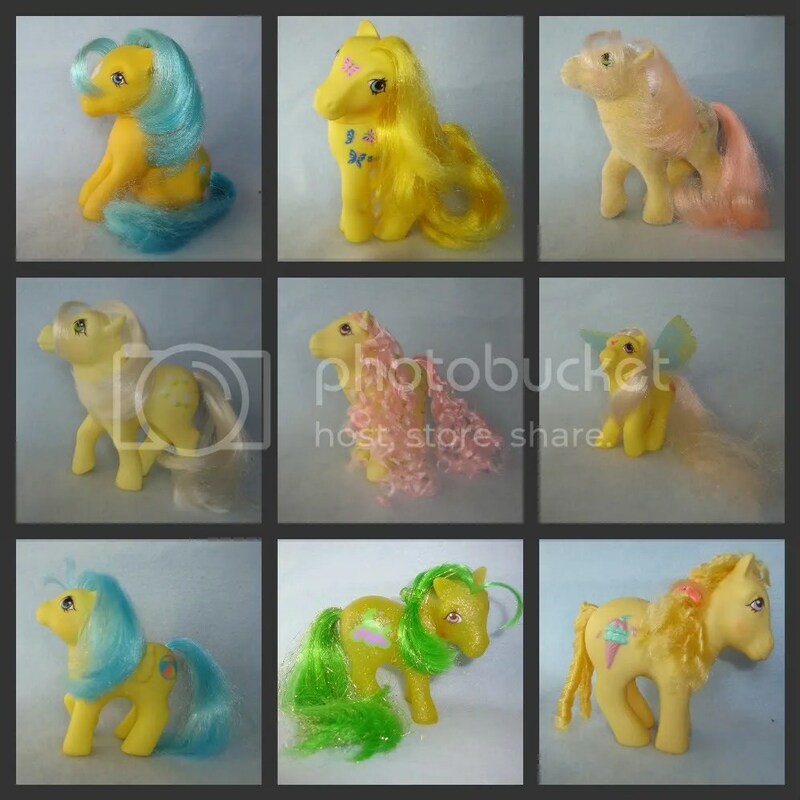 Long story short, I had a ton of ponies, and my brother and I had some amazing adventures with them. Barbie was always the bad guy in those games, a rich, nasty woman named Vanessa Van Vandervan who rode the ponies even though she was far too big for them. Jem may have been in on this in later years. GI Joe was a frequent target for V-Van-V’s affections, but he was always Team Pony (and he was allowed to ride them, because dude was tiny). I played with ponies for longer than most kids my age, but they eventually got put away in storage, where I visited them occasionally for longer than I care to admit. So I grew up. I had kids. 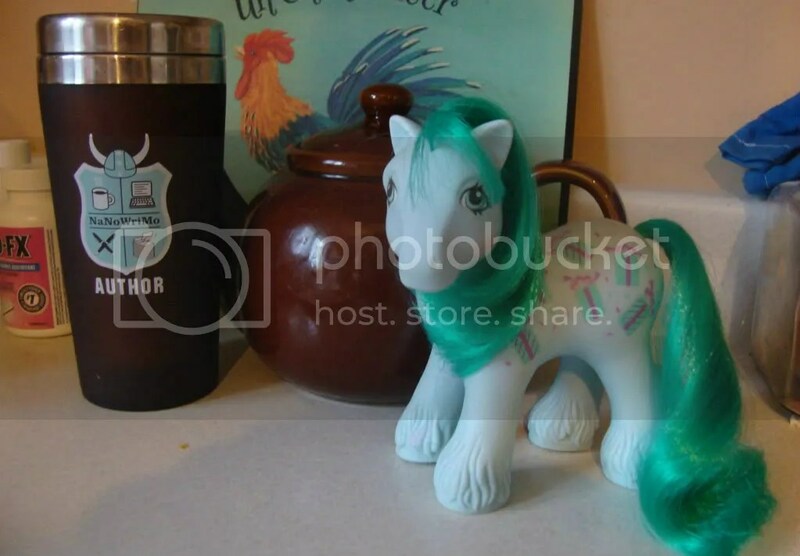 I saw a couple of ponies at Value Village and grabbed them, but never did anything with them. I started collecting them again about three years ago, around the time when I got into customizing the ones that were in terrible condition. I bought every one I found at thrift stores (first generation and third), cleaned them up and made them smell like my shampoo, displayed them when and where I had space, bought crappy lots on eBay to restore, often rehairing them with nylon doll hair when theirs was too smoky or otherwise ruined. I still have them, still adore them, but I don’t have the time or money to actively add to the collection now. I display as many of my favourites as I can, and the others wait clean and safe in the closet until they can take their turn on display or find a home with someone who loves them. Yes, he helps me write. This entry was posted on Friday, July 19th, 2013 at 8:22 am	and tagged with blog challenge, collection, my little pony, sweet celebrations and posted in 31 Day Blog Challenge, about me. You can follow any responses to this entry through the RSS 2.0 feed. You made me laugh out loud with your talk of Barbie as the bad guy, ” rich, nasty woman named Vanessa Van Vandervan who rode the ponies even though she was far too big for them.” 😀 Great collection! Your favorite is gorgeous, as are the rest.